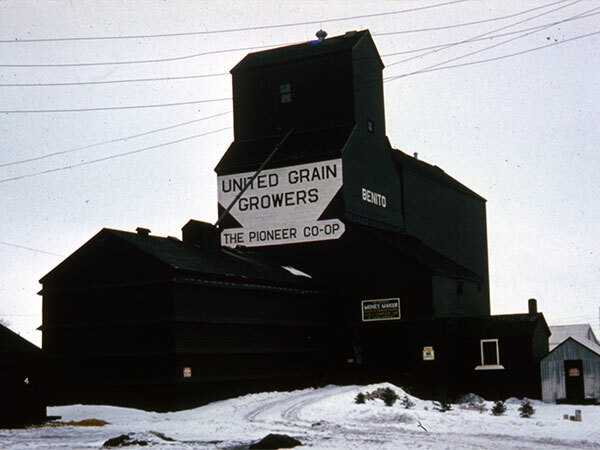 A wooden grain elevator at Benito, on the CNR Preeceville Subdivision in what is now the Municipality of Swan Valley West, was built in 1937 by United Grain Growers to replace an elevator destroyed by fire on 3 June 1937. 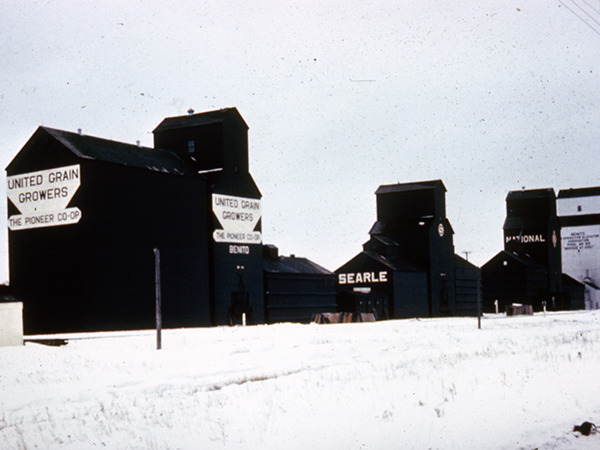 Temporary balloon annexes were constructed beside it in 1940 and 1941, and crib annexes were added in 1948 and 1956. 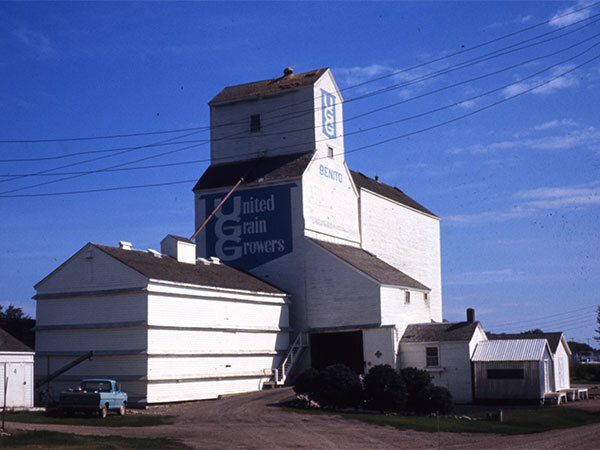 Closed in July 1997, the facility was demolished later that year. 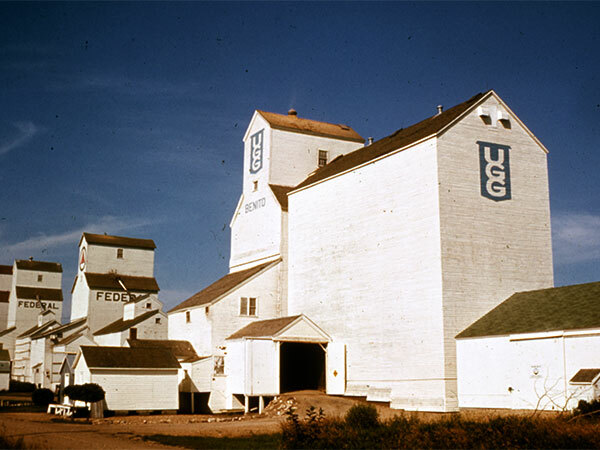 “UGG slated for closure,” Swan Valley Star and Times, 16 July 1997, page 1. This page was prepared by Gordon Goldsborough and Denis Sabourin.